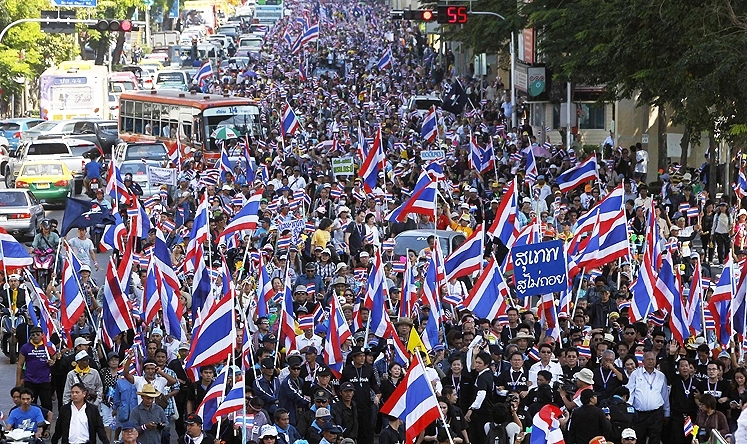 Currently in Bangkok, Thailand, protests against the government remain strong with tens of thousands to hundreds of thousands regularly gathering across the city in an attempt to oust Prime Minister Yingluck Shinawatra from office. However, there are many reasons why such protests never achieve their long-term goals, even when they achieve their short-term objectives. For example, were the protestors to successfully oust current PM Yingluck Shinawatra from office as they so desire, the political system is so corrupt that another corrupt PM would just replace her. Therefore, the protestors, who fail to understand and attack the root of the underlying problems of corruption- the bankers that monopolize control of the country's monetary supply- instead attack the symptoms and manifestations of the corruption. Thus, corruption will always remain. What if our national leaders told us that communities across America had to eliminate such local programs as Buy Local, Buy American, Buy Green, etc. to allow foreign corporations to have the right to make the sale on any products purchased with our tax dollars? This nullification of our people's right to direct expenditures is just one of the horror stories in the Trans-Pacific Partnership (TPP). 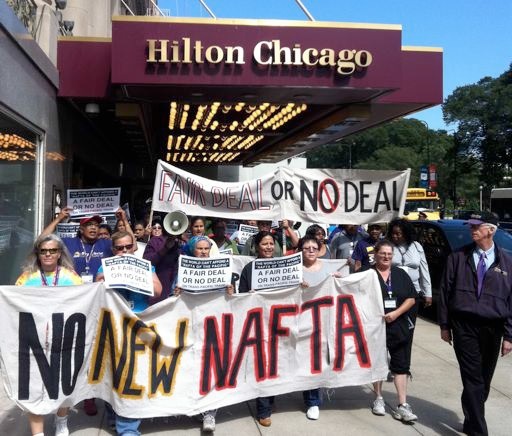 This is a super-sized NAFTA, the 1994 trade scam rammed through Congress by the entire corporate establishment. NAFTA promised the "glories of globalization": prosperity across our land. Unfortunately, corporations got the gold. We got the shaft -- thousands of factories closed, millions of middle-class jobs went south, and the economies of hundreds of towns and cities were shattered. As admitted by the U.S. government, recently declassified documents show that in the 1960's, the American Joint Chiefs of Staff signed off on a plan to blow up AMERICAN airplanes (using an elaborate plan involving the switching of airplanes), and also to commit terrorist acts on American soil, and then to blame it on the Cubans in order to justify an invasion of Cuba. See the following ABC news report; the official documents; and watch this interview with the former Washington Investigative Producer for ABC's World News Tonight with Peter Jennings. Former Secretary of State, and presumed 2016 presidential hopeful, Hillary Clinton spoke at two separate Goldman Sachs events in the past week (on October 24, and then again on October 29), for a cool $200,000 per speech, her normal fee according to Politico and the New York Times. $400,000—not a bad payday for the former First Lady. If you think we need more money influencing politics in America, then today could be a great day for you. The Supreme Court is hearing arguments this morning in McCutcheon v. Federal Election Commission (FEC), a case challenging the overall limits an individual can donate to political action committees, candidates and parties in a two-year federal election cycle. Americans are being treated to political theater at its finest. It's not a theater of entertainment, however, but a coliseum of enslavement where in the world of deception, perception becomes reality. This theater requires audience participation, where we, the theater-goers, become part of the play. We are a truly captive audience, entranced into mindlessly choosing sides at the frenzied urging of the corporate media and partisan cheerleaders firmly seated behind the microphones and television cameras of the nationally syndicated media. That Barack Obama is such a kidder. No matter how awkward the moment, he's got just the right quip to purchase some wiggle room. Remember when his old Chicago banking buddy Jamie Dimon, the CEO of JPMorgan Chase, first ran into that bit of trouble over his bank's "London Whale" derivative scam? That scheme has already lost $6 billion with close to $1 billion more piled on by the SEC in fines last week after JPMorgan admitted it broke the law. If you still require to be disabused of Obama's pretend populism, consider his decision to select William M. Daley, JPMorgan's representative in Washington, to be his White House chief of staff. It gave Dimon the key White House connection to accompany the passkey he already had at Treasury with his pal Timothy Geithner as secretary. 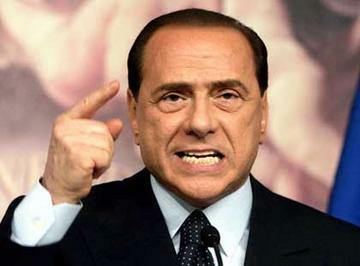 So, we now know: Silvio Berlusconi seriously floated plans to pull Italy out of the euro in October/November 2011, precipitating his immediate removal from office and decapitation by EMU policy gendarmes. Ex-ECB insider Lorenzo Bini-Smaghi has quietly dropped a few bombshells in his new book Morire di Austerita (Dying of Austerity), worth a read if you know Italian. 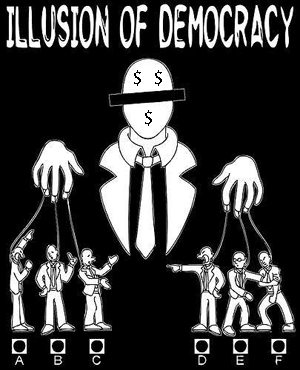 For the first time really in our politics, money is taking the field as an organized power.It is unscrupulous, arrogant and overbearing. But it is not proud. No matter what the billionaire Koch brothers and their operatives say. This week, it has been revealed that Charles and David Koch and their wealthy partners funded an, until now, "secret bank" that made "grants" of $236 million during the 2012 election cycle to maintain the right-wing political infrastructure that advances their economic interests. And by all accounts, they're just getting started. 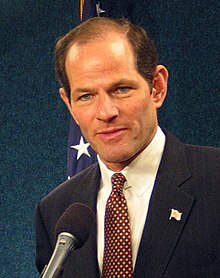 Before Eliot Spitzer's infamous resignation as governor of New York in March 2008, he was one of our fiercest champions against Wall Street corruption, in a state that had some of the toughest legislation for controlling the banks. It may not be a coincidence that the revelation of his indiscretions with a high-priced call girl came less than a month after he published a bold editorial in the Washington Post titled "Predatory Lenders' Partner in Crime: How the Bush Administration Stopped the States from Stepping in to Help Consumers." One of the worst myths Democratic partisans love to tell themselves -- and everyone else -- is that the GOP refuses to support President Obama no matter what he does. Like its close cousin -- the massively deceitful inside-DC grievance that the two parties refuse to cooperate on anything -- it's hard to overstate how false this Democratic myth is. When it comes to foreign policy, war, assassinations, drones, surveillance, secrecy, and civil liberties, President Obama's most stalwart, enthusiastic defenders are often found among the most radical precincts of the Republican Party. Billions of us, from prime ministers to hackers, are watching a live espionage movie in which you are the protagonist and perhaps the sacrifice. Your way forward is clear to no one, least of all, I'm sure, you. No one likes a bully, and Washington's NATO puppets have been bullied for six decades. British prime ministers, German chancellors, and French presidents have to salute and say "yes sir." The British seem content in their role as Washington's favorite lackey, but France and Germany have not enjoyed that role. France's last real leader, General DeGaul, would have nothing to do with it and refused to join NATO. Germany, dismembered with East Germany occupied by the Soviets, had no choice. Germans' gratitude to President Reagan for their unification resulted in re-unified Germany falling under Washington's hegemony. Our democracy was under siege even before the Supreme Court's ruling on the Voting Rights Act. This decision caps the Court's clean sweep on behalf of the United States Chamber of Commerce and is part of a concerted effort to seize democracy on behalf of moneyed interests. 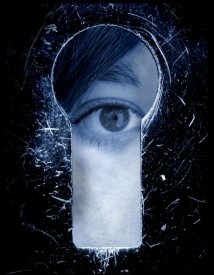 It's a mistake to view this decision in isolation. It's part of an ongoing, corporate-backed constitutional coup. Verified Warnings From Former U.S. Presidents About the "Invisible Government"
Past presidents of the United States and other high profile political leaders have repeatedly issued warnings over the last 214 years that the U.S. government is under the control of an "invisible government owing no allegiance and acknowledging no responsibility to the people." According to six of our former presidents, one vice-president, and a myriad of other high profile political leaders, an invisible government that is "incredibly evil in intent" has been in control of the U.S. government "ever since the days of Andrew Jackson" (since at least 1836). They "virtually run the United States government for their own selfish purposes. They practically control both parties… It operates under cover of a self-created screen [and] seizes our executive officers, legislative bodies, schools, courts, newspapers and every agency created for the public protection." Click here for a video of Kennedy's warning. The Green Shadow Cabinet includes nearly 100 prominent scientists, community and labor leaders, physicians, cultural workers, veterans, and more, and provides an ongoing opposition and alternative voice to the dysfunctional government in Washington D.C.. As with shadow cabinets in other countries, the Green Shadow Cabinet of the United States responds to actions of the government in office and demonstrates that another government is possible. 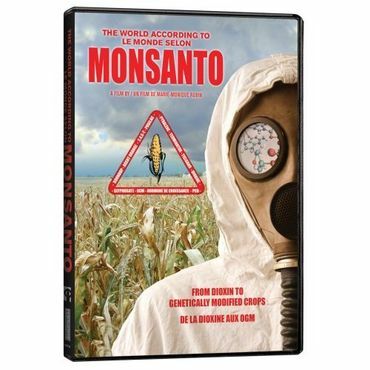 The Monsanto corporation is a top "corporate climate criminal" whose drive for profit and control of the global food system threatens food safety, biodiversity, and food sovereignty. 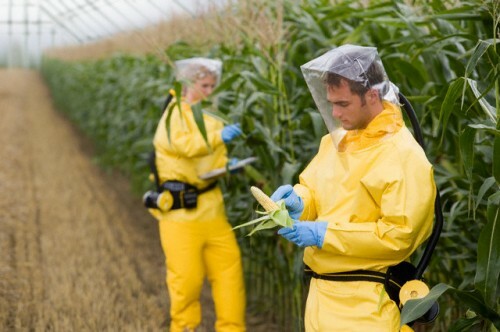 Monsanto is the world's leading producer and proponent of genetically modified agriculture. Through aggressive purchases of seed companies, Monsanto is rapidly taking control of the world's seed supply. Monsanto truly has the United States government in the palm of its bloody proverbial hand.Just when you thought the latest Supreme Court ruling in favor of Monsanto's anti-farmer patent policy was enough evidence of Monsanto's deep relationship with the US government, hundreds of new cables from the State Department and embassies around the world reveal that your taxpayer dollars are being used to push Monsanto's genetically modified seeds. This article highlights the control that Monsanto has over government. The president's new choices for Commerce secretary and FCC chair underscore how far down the rabbit hole his populist conceits have tumbled. Yet the Obama rhetoric about standing up for working people against "special interests" is as profuse as ever. Would you care for a spot of Kool-Aid at the Mad Hatter's tea party? Why Does Exxon Control the No-Fly Zone Over Arkansas Tar Sands Spill? The Federal Aviation Administration (FAA) has had a "no fly zone" in place in Mayflower, Arkansas since April 1 at 2:12 PM and will be in place " until further notice," according to the FAA website and it's being overseen by ExxonMobil itself. In other words, any media or independent observers who want to witness the tar sands spill disaster have to ask Exxon's permission. Mayflower is the site of the recent major March 29 ExxonMobil Pegagus tar sands pipeline spill, which belched out an estimated 5,000 barrels of tar sands diluted bitumen ("dilbit") into the small town's neighborhoods, causing the evacuation of 22 homes. Click here for a story on how Exxon has locked down the town of Mayflower AK to keep information abouot the spill from "leaking" out. It is so sad that our nation has degenerated to the point where corporations can now declare no-fly zones over U.S. airspace. In the typical slippery nature of Monsanto's legislation-based actions, the biotech giant is now virtually guaranteed the ability to recklessly plant experimental GM crops without having to worry about the United States government and its subsequent courts. The Monsanto Protection Act buried deep within the budget resolution has passed the Senate, and now nothing short of a presidential veto will put an end to the ruling. Riddled With Corruption: Two More Public Officials "Cash In"
Is there anything more maddening then watching elected officials and regulators cash in for their time in office? 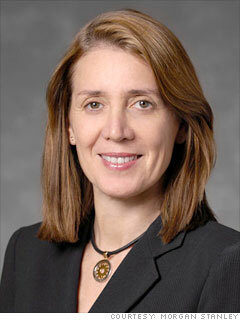 "GE Chairman and Chief Executive Jeff Immelt said Ms. Schapiro's experience overseeing U.S. financial markets and understanding of corporate governance and financial regulation will benefit the company." The suddenly increased national debt is primarily the result of a deep recession caused by the top bankers and hedge fund hustlers of Wall Street, saved from their folly by massive and costly federal intervention. The result has been a season of obscene profit for them, while the rest of the nation has floundered. But instead of making the rich pay, ordinary citizens will be visited with job furloughs and a savaging of public services that often are lifesaving. We never heard of this guy Barack Obama until 2004. Less than three years before taking the presidency, he was in the Illinois state senate, a swamp of scammers, backhanders, and party machine tools - not a stellar launch pad for the White House. And then, one day, state Sen. Barack Obama was visited by his fairy godmother. Her name is Penny Pritzker. President Obama's pick to run the Treasury Department isn't much of a financial reformer. And it looks like his potential pick for Treasury's No. 2 spot might not be, either: She actively lobbied for Wall Street. 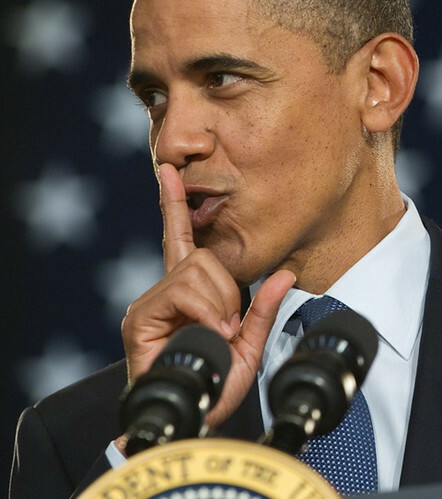 Obama is reportedly considering tapping Morgan Stanley chief financial officer Ruth Porat to be the "number two" at Treasury under his pick for Treasury Secretary, Jack Lew. Picking Porat would address two problems for Obama: the notable lack of women named so far to his second-term cabinet, and Lew's professed lack of financial expertise. Former bank regulator William Black and Rolling Stone's Matt Taibbi join us to dissect the career of Jack Lew, President Obama's pick to replace Treasury Secretary Timothy Geither. Currently Obama's chief of staff, Lew was an executive at Citigroup from 2006 to 2008 at the time of the financial crisis. He backed financial deregulation efforts while he headed the Office of Management and Budget under President Bill Clinton.